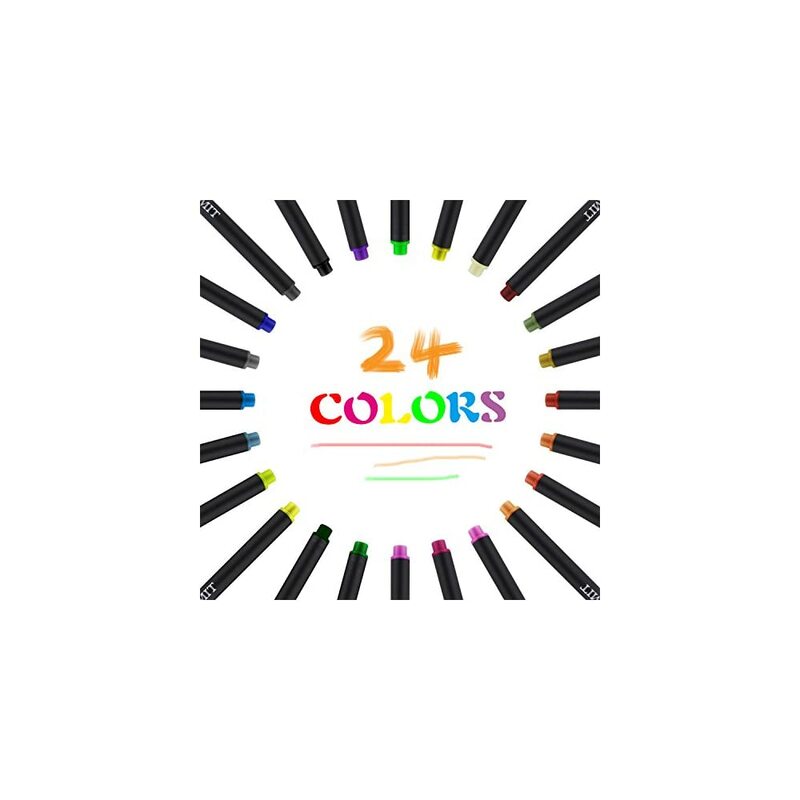 Multi Colors: No Duplicates, 24 Vibrant colors felt tip pens perfect for den journal painting, bible writing, sketch book, signing, manga, graphic, design, school planner, math book, homework, bills, calendar, illustration, included artists fine-ink drawings. Gives an extra spark to your writing. 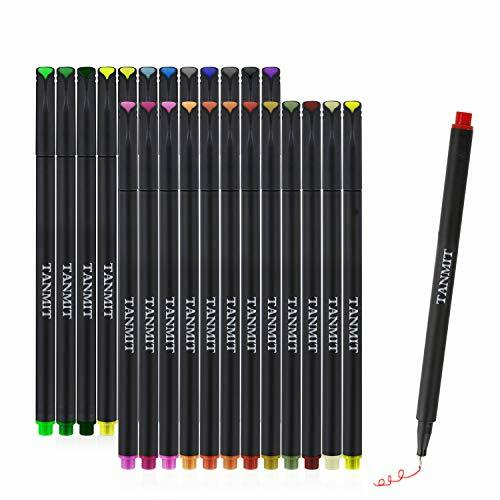 0.38 mm Colorful Pens:Fine liner marker pen produces thinner lines & details, Ideal for bullet journal and coloring small intricate patterns, will become a partner for colored pens. 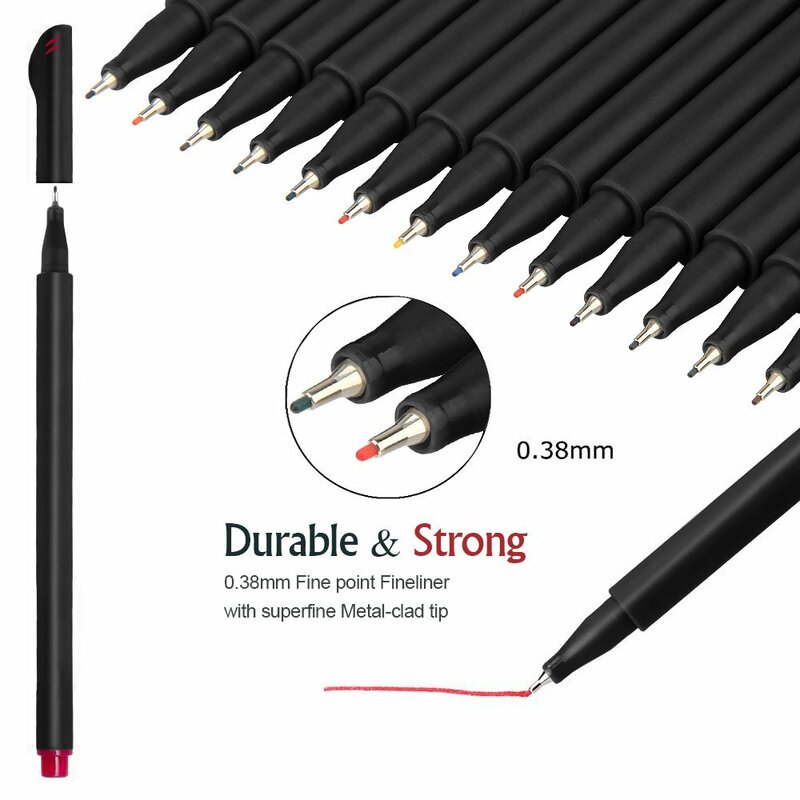 Also metal-clad tip and outstanding performance in all areas of manga, graphic, design and illustration, easy and comfortable to write. 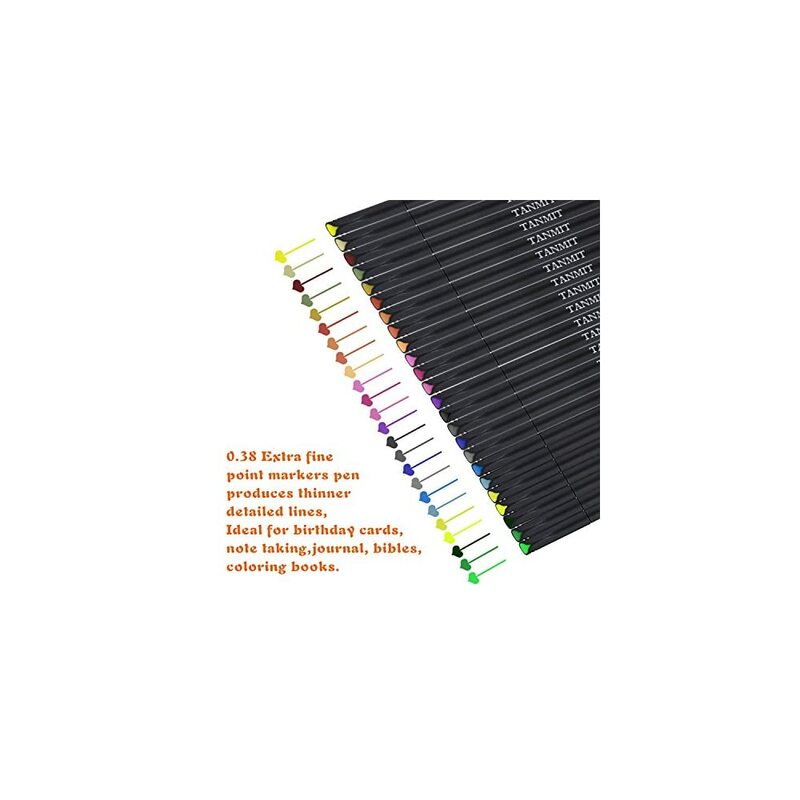 High Quality: Water-based ink, Dry safe and quick, Minimal bleed thru, Acid-free /Non-toxic Ink, these fiber-tipped pens create vivid fine lines and intense water-based colors. Also The cap is easy to remove when you are coloring books. 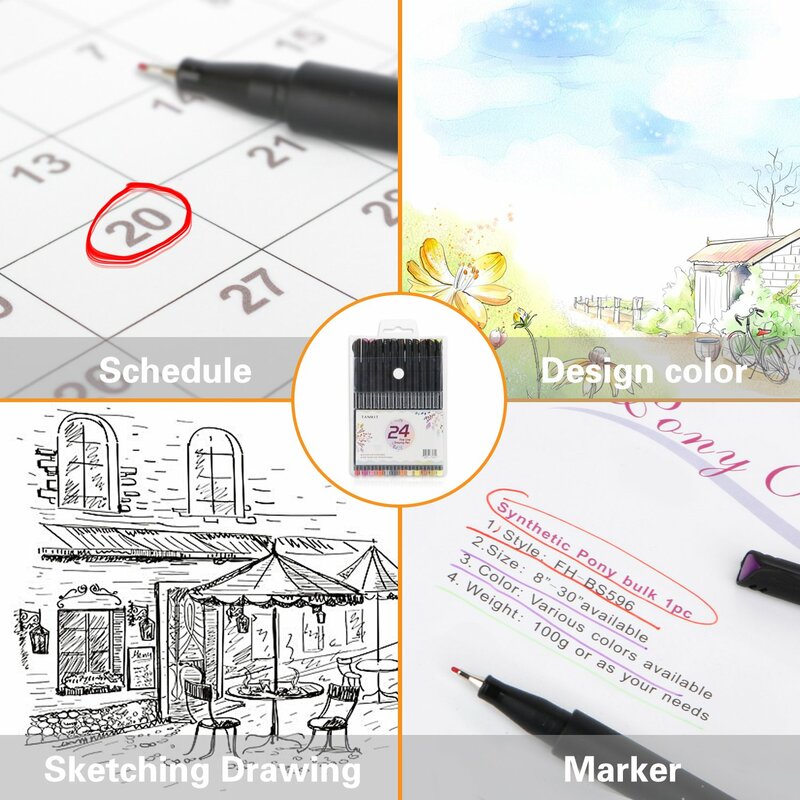 homework, bills, calendar, illustration, included artists fine-ink drawings and coloring small intricate patterns. 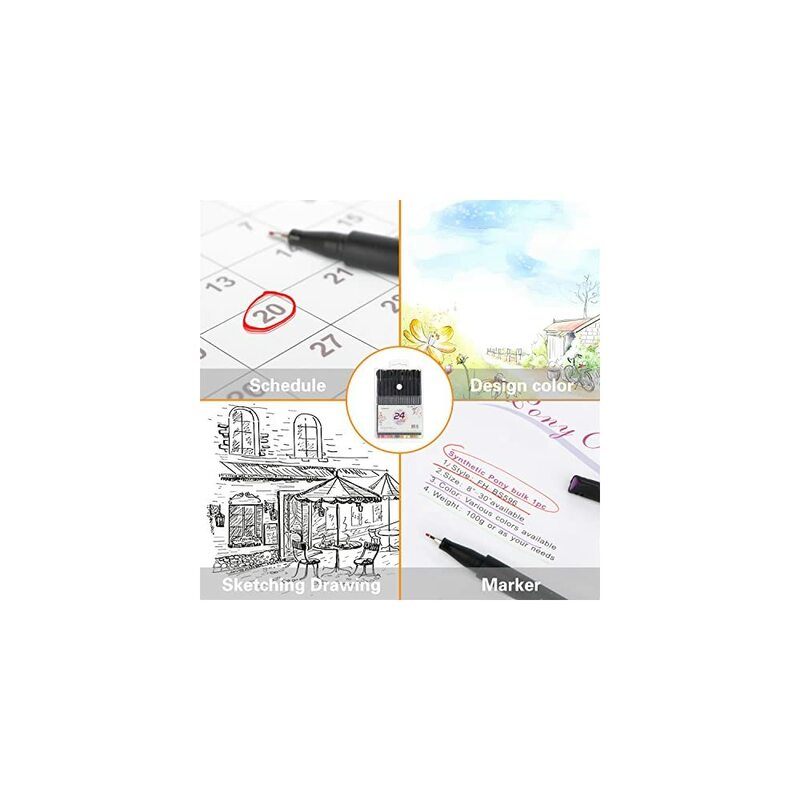 0.38 mm Fine Point Marker Pen- you can use it like a marker to sketch, writing on work schedule, illustration, drawing lines, do bullet journal . Comfortably & Multiple Usages: Tanmit Fine Line Drawing Pens sit very comfortably in your hand. 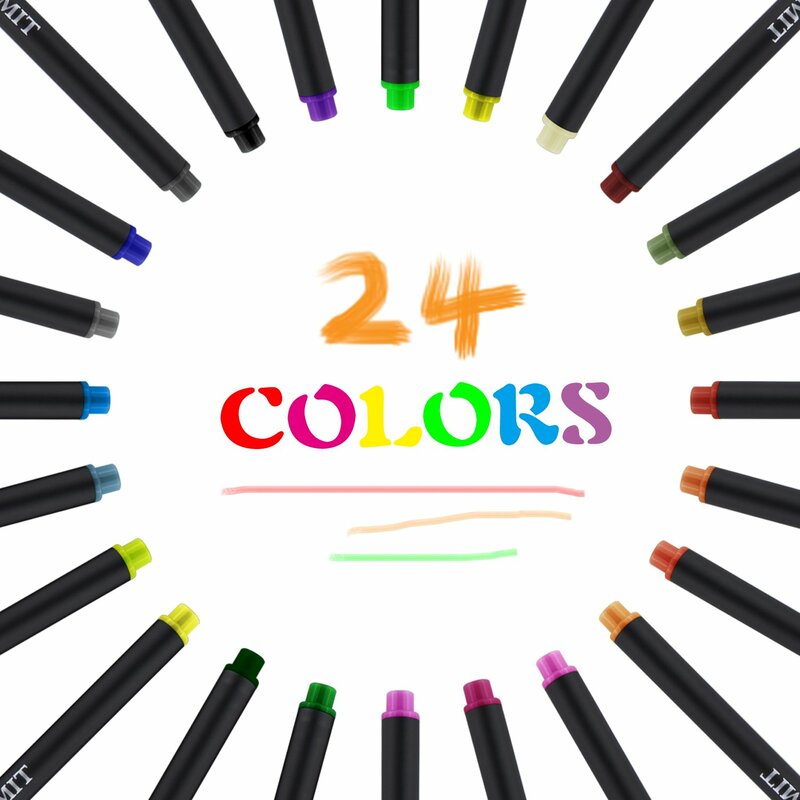 help to keep Color Pens lasting longer and prevent from dry-outs. 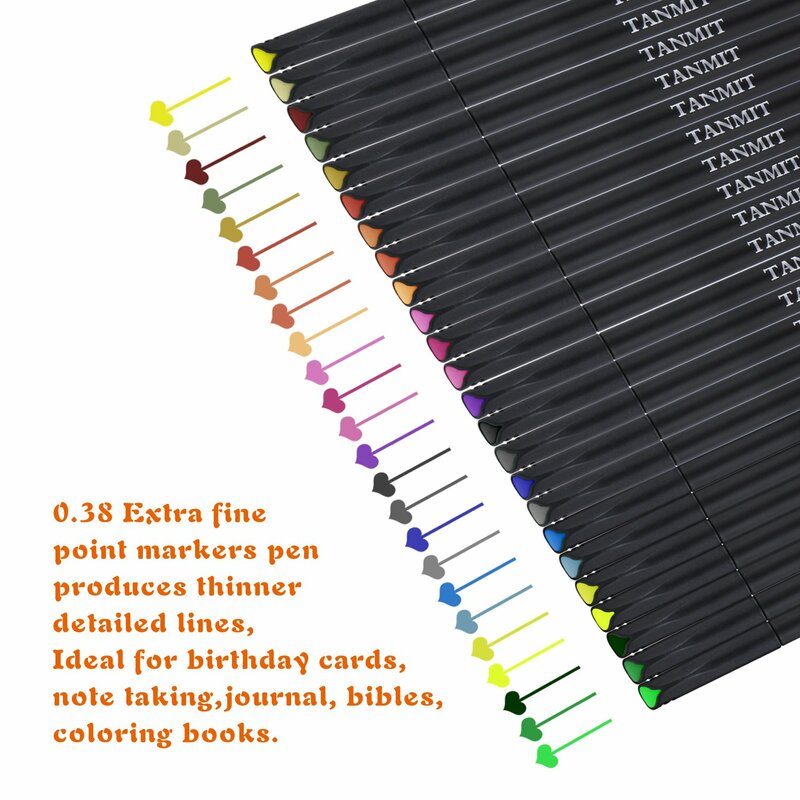 They are packaged in a soft transparent vinyl bag, let our colored writing pens stay alongside your coloring pencils, markers, glitter pens,or brush pens! Just In Case: If you are coloring on thin paper,you can put an extra sheet of blank paper between your coloring sheets and that works nicely to prevent bleed through. But If any are damaged or if they’re not up to your satisfaction we will offer a Free Replacement or a Full Refund. 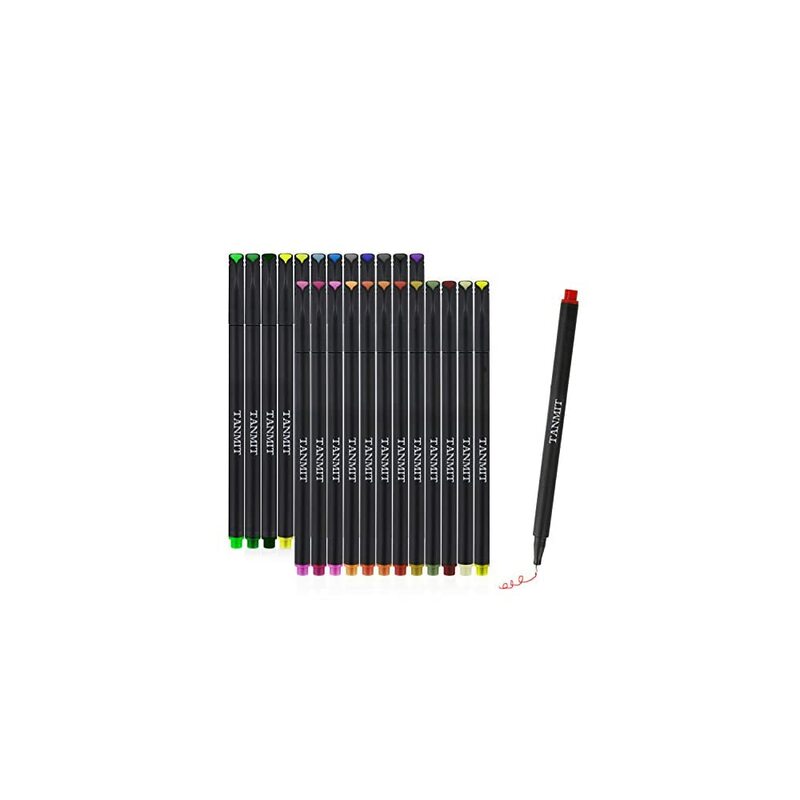 Great value 1/4 the cost,dealt like this brand doesn’t dry out quickly as most.i use these alot.